When Ingrid Escobar goes grocery shopping these days, she stays away from the soda aisle. The mother of two also avoids sugar-laden foods, and puts a limit on bread when shopping for her two young children. 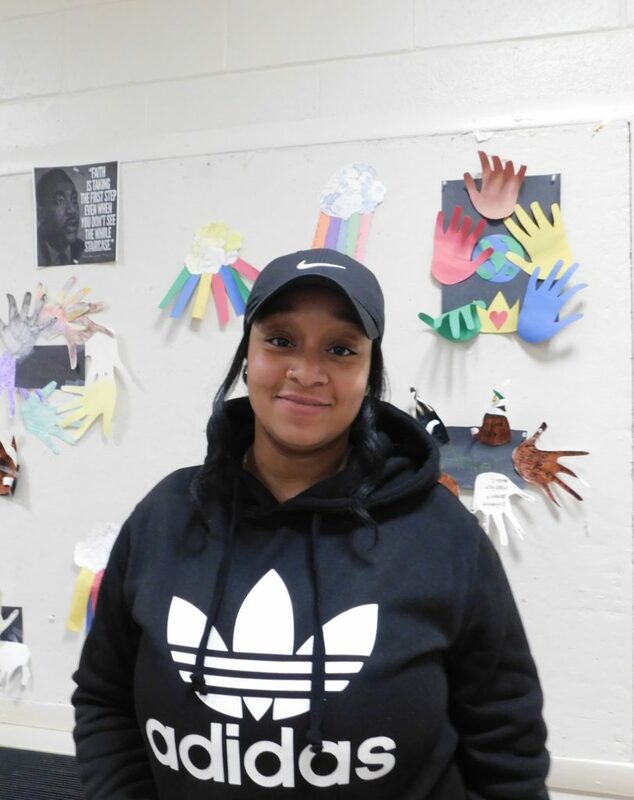 “I think about everything I buy now, and everything we cook and eat at home,” said Escobar, who recently completed a nutrition education program offered at Springfield Housing Authority’s Sullivan Apartments, where she lives. Ingrid Escobar is practicing healthier eating habits. Escobar was one of a half-dozen women and men who completed the six-week program with an instructor from the University of Massachusetts Extension Service. 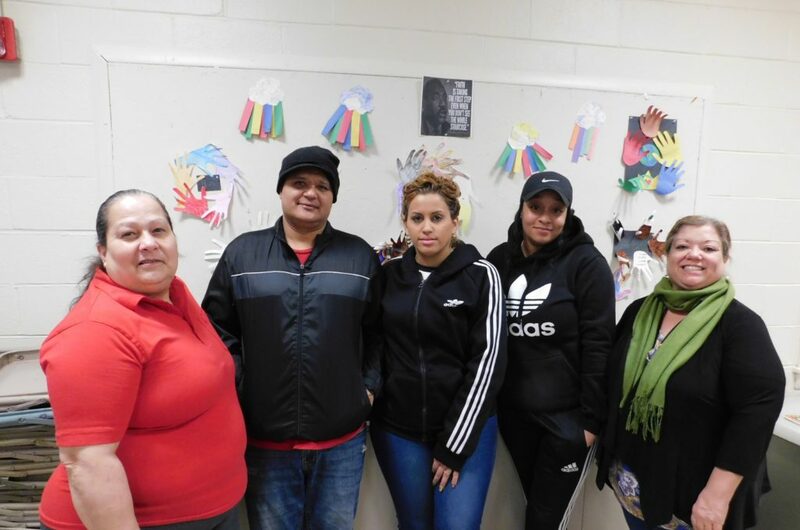 Nutrition educator Antonia Ramos visited Sullivan once per week, giving a variety of lessons and cooking up healthy snacks and meals to share with the group. 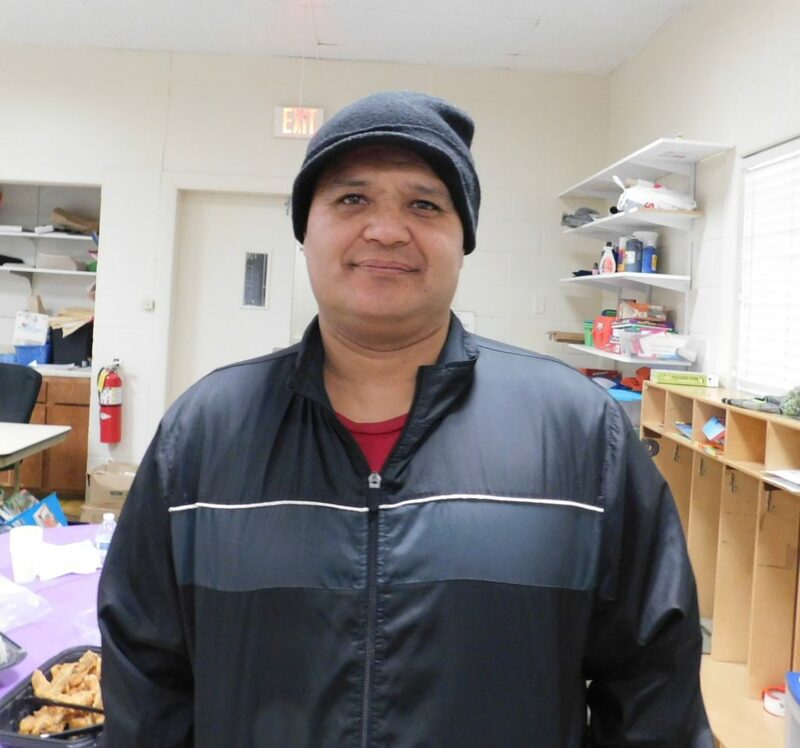 Ramos targeted any specific health issues among those in the class, such as diabetes or high blood pressure, and suggested foods that will lead to better health. She also put the focus on overall good eating habits like staying away from junk food, or items high in sugar, salt, and calories. The program came courtesy of Talk/Read/Succeed!, the family-based early literacy program at three SHA developments that promotes positive skills and activities for both young and old. Angel Vazquez is cooking with an eye towards nutrition. Zenaida Burgos, who is SHA’s program coordinator for T/R/S! 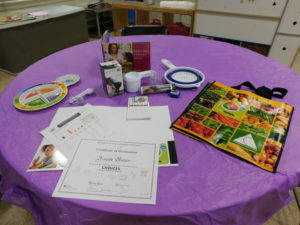 at Sullivan, also participated in the nutrition classes. She said the enthusiasm level was at a high with this class. The SHA has an ongoing relationship with the UMass Extension Services, with classes and information on a variety of issues. SHA Executive Director Denise Jordan said the partnership is a good one, providing training and hands-on sessions for residents seeking to improve their lives. “This is one example of how residents can learn to do more positive things for themselves and for their families,” Jordan said. Zuleyka Sierra is avoiding junk foods and focusing on fruits and vegetables. 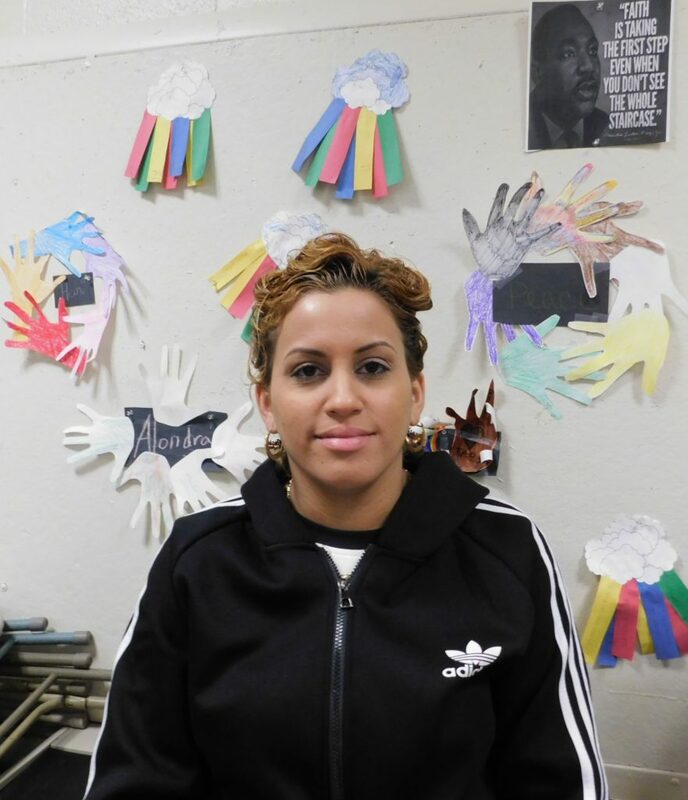 For Escobar and others, the program meant a change in how she approaches food for the family. Angel Vazquez, who has one daughter, said he can already see the benefits to taking the nutrition course. Zuleyka Sierra agreed, saying she is shopping and cooking smarter now, for herself and her daughter. Among regular items on her new diet are fruits and vegetables, especially strawberries, grapes, bananas, squash and kale, which her daughter also loves. Participants celebrated with a healthy meal made with low-fat and low-salt ingredients, certificates, and a few gifts to take home including a healthy cookbook, measuring utensils, a vegetable slicer, a water bottle, a shopping bag and a step counter. Tools to promote healthy eating and good exercise.